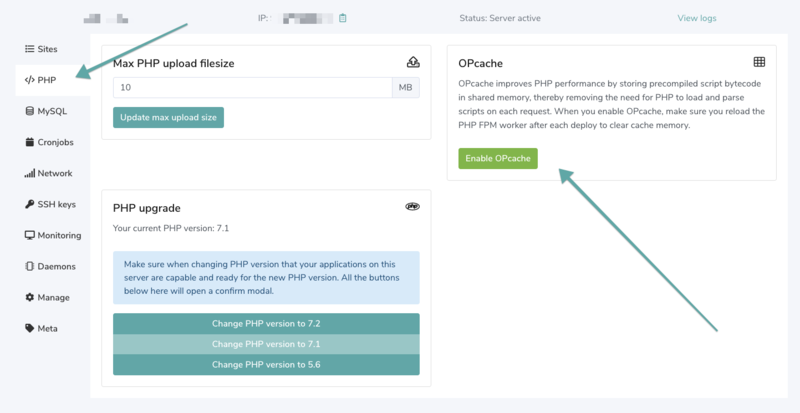 Whenever you enable OPCache, the code will be cached and kept cached in the FPM worker. So imagine if you deploy a new version of your website, the changes will not come through because old code is cached. This means you will have to tell the FPM worker to clean the cache. Change the 7.1 with the PHP version you have. For more information about OPCache we refer you to the original PHP website.